Approx. 400 per 1-lb. bag. Great value for your craft corner! 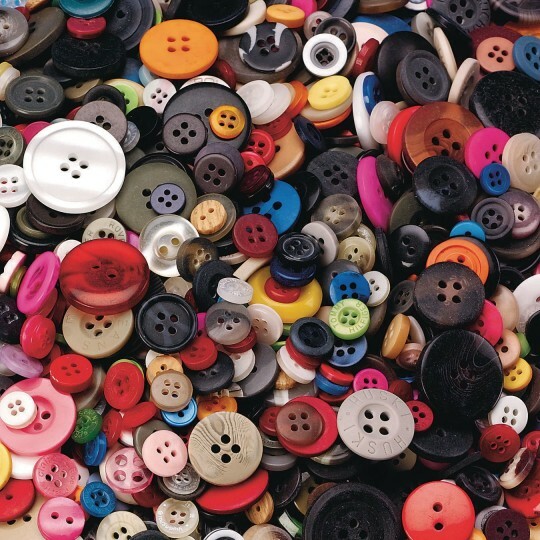 Assorted colors and shapes in a mixed all-purpose button selection. Sizes vary. Approximately 400. 24-33mm. The product comes in a great variety of sizes colors types. This a perfect assortment for a variety of experiments and creative activities. WE used these for the firts time this year at our summer camp and the kids loved them and the art director loved the variety of buttons included in the batch. Our preschoolers love to thread beads and buttons on pipe cleaners. This pack was perfect. Yes I would. Nice variety .